Bringing even more to the party we can provide amazing, multi colour up-lighters to your venue making it truly sensational. Each colour can be static or set to change gradually or quickly depending on the effect you’d like. 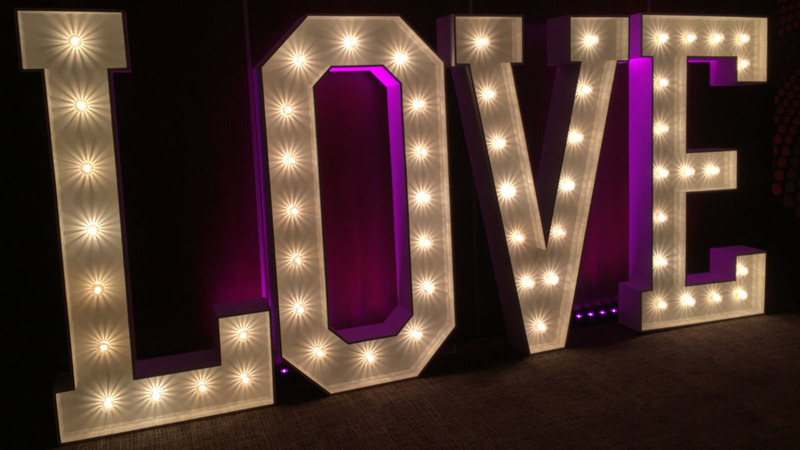 How about adding an extra ‘pop’ to your light up love, light up surname or initials with our venue lighting up-lighters? The video really gives a good idea of what can be achieved.. we love it!